The two main technologies featured on these engines, Electronic Common Rail (C90) and Electronic Unit Injector (C13), combined with the 4 valves/cylinder induction system, provide several benefits: high injection pressure and timing precision under any operation condition, excellent performance, low fuel consumption and emissions. 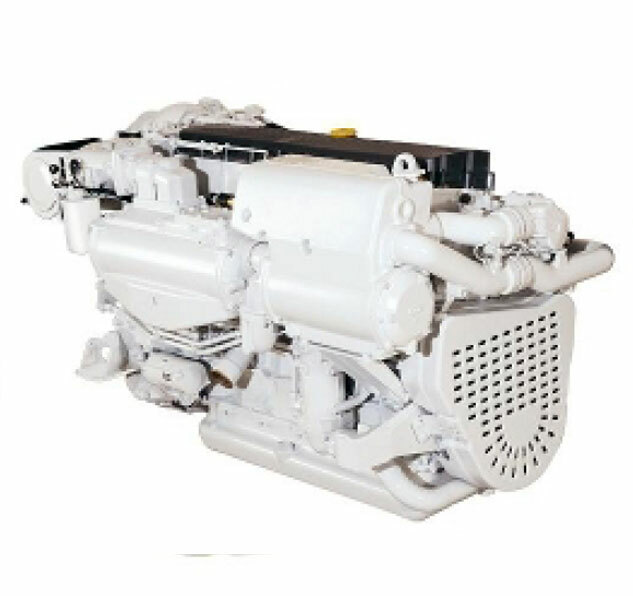 Features achieved using innovative technologies and production processes such as: Electronic Common Rail or Electronic Unit Injector systems, bed plate cylinder block, rear gear-train timing system and superfinished helicoidal gears. To reduce maintenance operations and improve engine life and reliability, the CURSOR series adopt plateaux machined cylinder walls and oil cooled pistons by J-jets. Wide range of accessories including electronic remote control, monitoring systems, wide range of emission certifications as IMO MARPOL, 2003/44/EC, EPA Recreational & Commercial and propulsion homologation as RINA. Easier engine servicing thanks to advanced diagnostic equipment & widespread worldwide service network. A1 – High Performance Crafts. Full throttle operation restricted within 10% of total use period. Cruising speed at engine rpm <90% of rated speed setting - Maximum usage 300 hours per year. A2 – Pleasure Commercial Vessels. Full throttle operation restricted within 10% of total use period. Cruising speed at engine rpm <90% of rated speed setting - Maximum usage 1000 hours per year. B – Light Duty: Full throttle operation restricted within 10% of use period. Cruising speed at engine rpm <90% of rated speed setting - Maximum usage 1500 hours per year. C – Medium Duty: Full throttle operation < 25% of use period. Cruising speed at engine rpm <90% of rated speed setting - Maximum usage 3000 hours per year.